Ten French presidential candidates have already publicly engaged with our chapter Transparence International France’s 7 propositions for the fight against corruption – but President Nicolas Sarkozy has not. Transparence International France is calling on him to do so, along with all remaining presidential candidates. Just after his election victory in 2007, Nicolas Sarkozy said that he wanted to make France into an “irreproachable” republic: clean and corruption free. 5 years on, as he campaigns for a second presidential term, just how successful has he been? Transparence International France set out to answer this question. Their 5 year review of France’s fight against corruption, published on March 1, suggests that there is still some way to go. The review assesses anti-corruption initiatives undertaken by the President, government and the parliamentary majority. 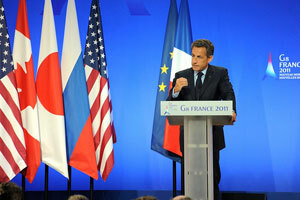 Granted, there has been progress in certain areas – notably in French efforts to fight against tax havens. But the review shows that political will to tackle corruption is still not strong enough. One particular weak point is the independence of the judiciary. The review also noted that the judiciary does not have the means necessary to fight corruption. Another clear problem lies in preventing conflicts of interest. The review pointed out that a law promised by the government for ministers and functionaries in the context of l’Affaire Bettencourt (from the name of L’Oréal heiress Liliane Bettencourt, a case that includes suspicions of illicit financing of an electoral campaign) has still not seen the light of day. Reading Transparency International France’s 5 year review, it becomes clear that France has not become “irreproachable” during Nicolas Sarkozy’s presidency. A renewed code of ethics must be placed at the heart of public life and the fight against corruption must be made a real political priority in France.